Christmas nutrition is something which a lot of people struggle with. It is the party season and can see you attending more parties and nights out than the other 11 months of the year. This can unfortunately lead to over eating, over consumption of alcohol and just generally letting your good work slip. If you are not careful you might just undo the 11 months of good habits and hard work. 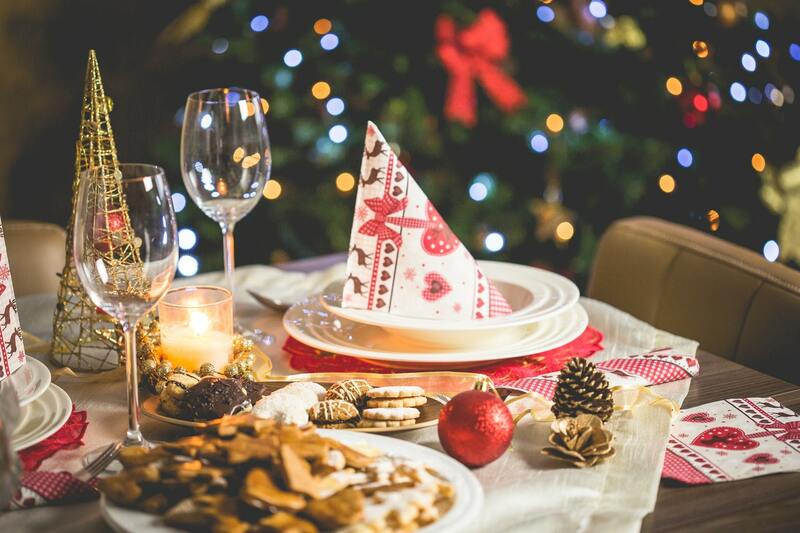 So here are my 5 tips to help you keep your Christmas nutrition in check and put you in the best position going into the new year. With it being Christmas, it means you will inevitably be attending various parties which can only mean one thing… Lots of food. These parties often have buffet style catering which, combined with very calorific drinks means you can overeat by quite a substantial amount. 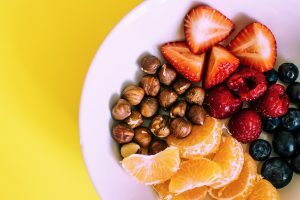 Planning ahead and ensuring you have eaten something healthy before you go to the party will help you to feel full and as a result, cut down on the temptation of going to the buffet. 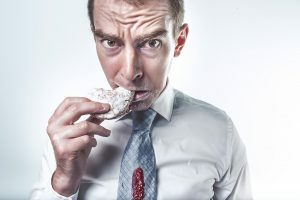 As you may know, once you have had a few beers or cocktails you might be tempted to take a stop at a kebab shop and reach for something high in fat and salt. Ensuring you are fully feed before you go can help you resist the feelings of hunger. Organisation is also extremely important. I would always recommend planning out your meals for the week, particularly at this time of year as it will allow you to factor in any parties or nights out that may see you consuming excess calories. By working this out in advance, you could look at reducing the portion size of your lunch/snacks etc during the day to compensate for the few alcoholic drinks in the evening. So whether you are going to an office party or having a night out in town, plan ahead and ensure you have had food before you head out! This is something that is so simple yet not really considered. 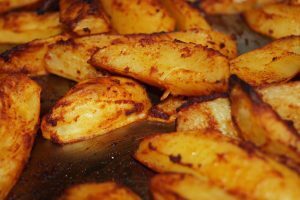 If you are preparing Christmas dinner this year and are roasting vegetables such as potatoes, pa rsnips and carrots, ensure you are cutting them into bigger chunks as this means they will be absorbing less fat and as a result will contain less calories. The best option for doing this is to brush them with oil rather than cooking them in a dish of oil. Again, this ensures they will absorbing less fat. Going back to the issue of buffet food available at Christmas parties, if you are going to have food from the buffet, it is important to consider what order you pick up first. Particularly if you are hungry you are far more likely to opt for the more unhealthy options. A good tip is to start with the healthy foods first then you will pick less of the higher calories foods later. Try to have a plate of healthy food then consider going back up (psychologically you might not want to be seen going back up or you might just feel full after having the healthy food and either not go up or only have a small amount if you do) or put the healthy stuff on first before and then you wont have much space left in which to put the unhealthier foods on. Hydration is essential in all areas of life. Without water we cannot survive. It will hopefully not be that serious this festive period. however, if you are looking to lose weight or improve performance, hydration still has a huge effect on your success. In relation to previous points of overeating. Did you know that around 25% of the times you think you are hungry, you are actually just thirsty. This could easily result in you picking up an unhealthy snack that you would otherwise have avoided. With alcohol being a big part of Christmas nights out, you could easily undo all your good work from the past few months. 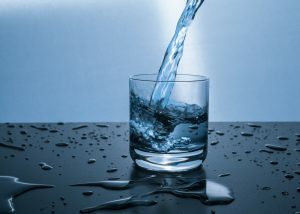 Mild dehydration can also lead to headaches and when you see the diuretic effects of alcohol it shows the importance of maintaining a good fluid intake. Did you know…? Tea a coffee does count towards your hydration goals but just make sure that the caffeinated versions are not making up your full quota. Walk into a gym at this time of year and you will notice that there are far fewer people working out. Likewise, go in January and you will notice they are packed full of people with the motto’s “New Year, New Me” which they do every year then give up come April. I have heard quite a few people saying “there’s no point going to the gym in December, it’s Christmas”. This is already setting you up for failure and probably resulting in you gaining all the weight you worked so hard to lose during the year. Try and get a bit more organised and planning out some training days as well as your nutrition. 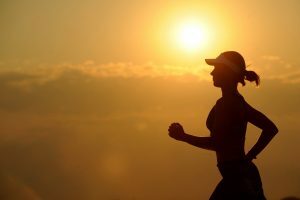 Even if you are reducing your training days and are only exercising 2 or 3 days a week instead of your normal 4 or 5 it is still keeping you in the routine of training and psychologically it will make you consider your food choices over the festive period. Just because it is Christmas, it doesn’t mean you should undo all your good work from the previous 11 months. This will only lead to you feeling crap in January and having to do it all over again.